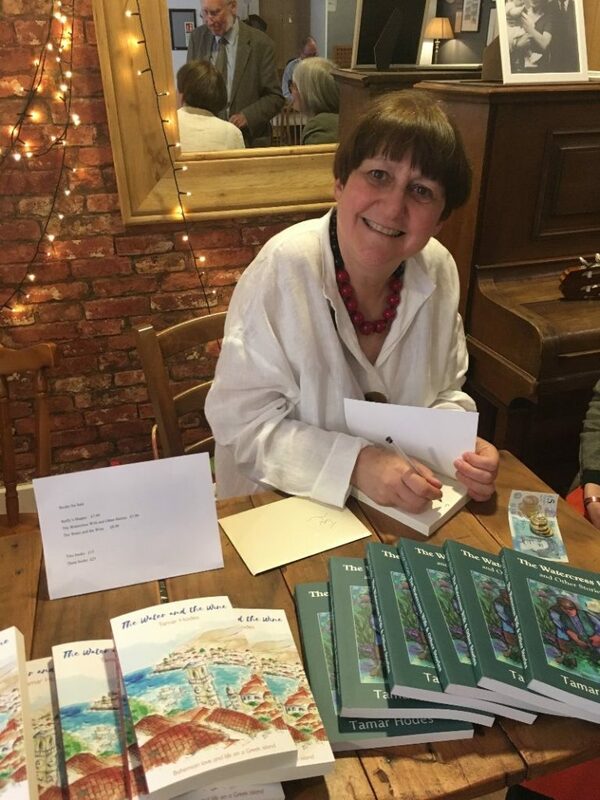 We are really looking forward to welcoming author Tamar Hodes, author of The Water and the Wine to our Synagogue on May 15th. 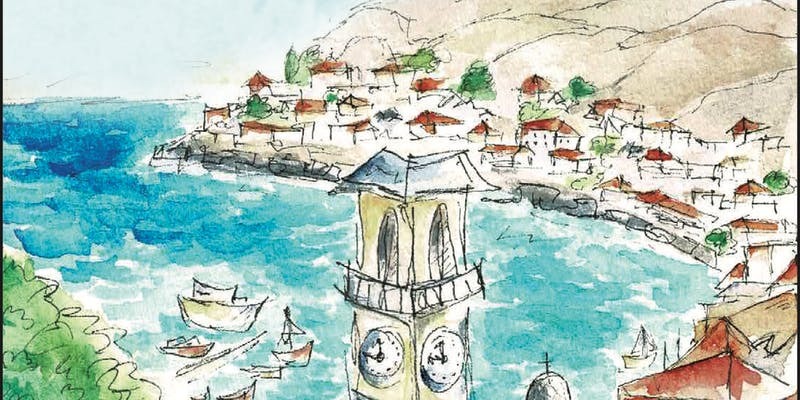 Set on the Greek island of Hydra in the sixties, the book is a fictionalised account, based on research, of the lives of the artists and writers who lived there. The main focus is on Leonard Cohen – his poetry, his music, his love for Marianne and his Judaism. Tamar and her family also lived on Hydra at that time. Tamar will be happy to sign copies of her book. To book please click here – a £5 donation on the door will be requested. 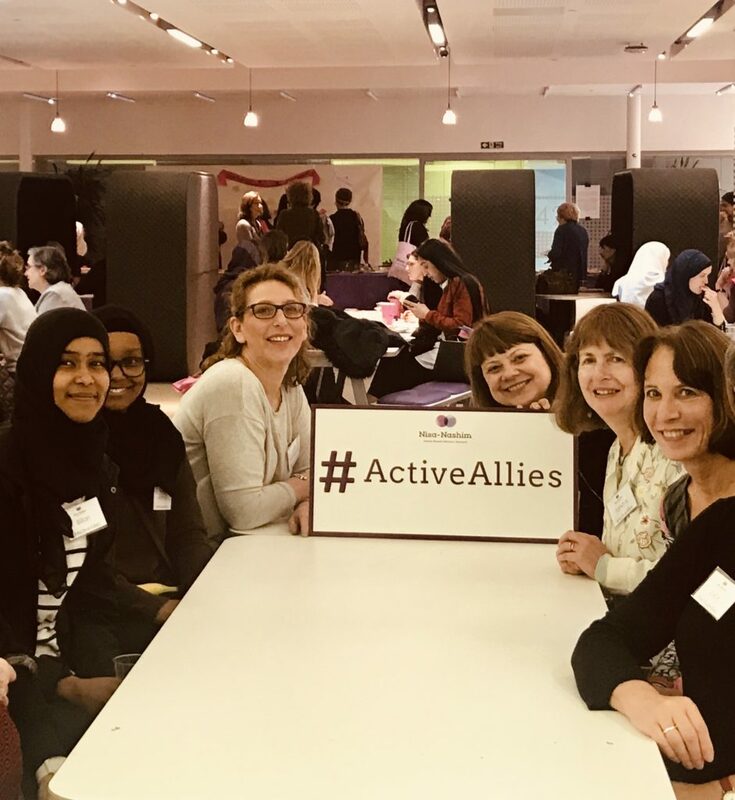 Some of our members attended the third annual conference hosted by Nisa-Nashim, a Jewish-Muslim organisation bringing communities together to build friendships and undertake joint programmes at grassroots level throughout the UK. See here for coverage in the Surrey Comet. Members enjoyed learning how to make the perfect challah at our Challah Baking Workshop in March! Everyone enjoyed the fruits of their labours at the chavorah supper following the erev Shabbat service. 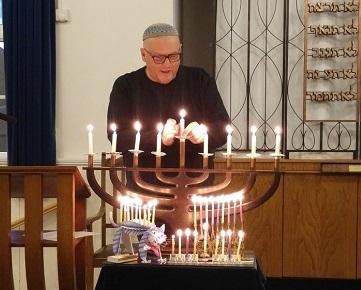 This year we celebrated a variety of Chanukah events together as a community, both at the synagogue and in members’ homes. We also enjoyed a very successful Interfaith Event attended by guest from our local faith groups. A big thank you to everyone who donated to the garden fund at our recent Supper Quiz. We raised over £300 which will take us a long way to fulfilling our current plans. 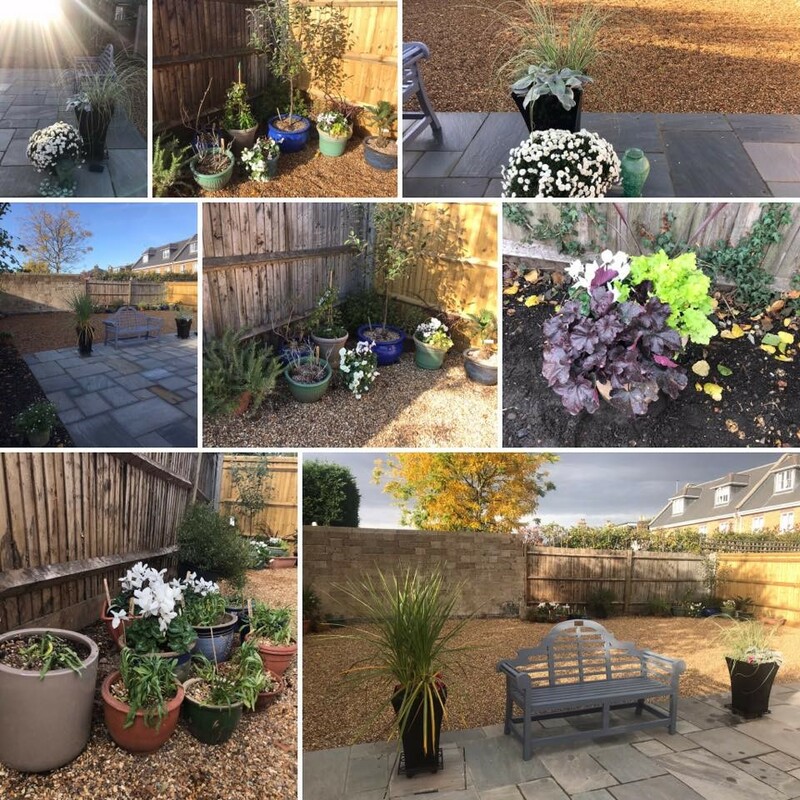 If you would like to contribute some time to maintaining the garden please let the office know and someone from garden group will be in contact. Hundreds of young Liberal Jews from all over the country, aged between 8 and 15 years old, had the Liberal Jewish experience of their lives at this year’s Kadimah! 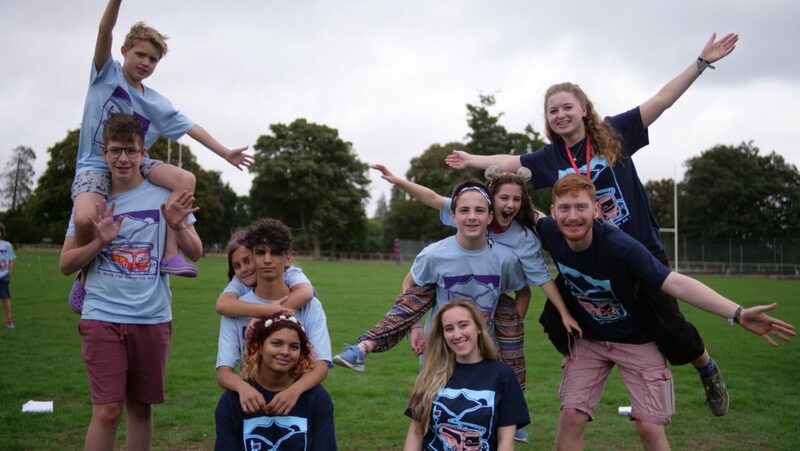 Two weeks of magical, creative, fun and engaging activities – As you can see – KLS was well represented! 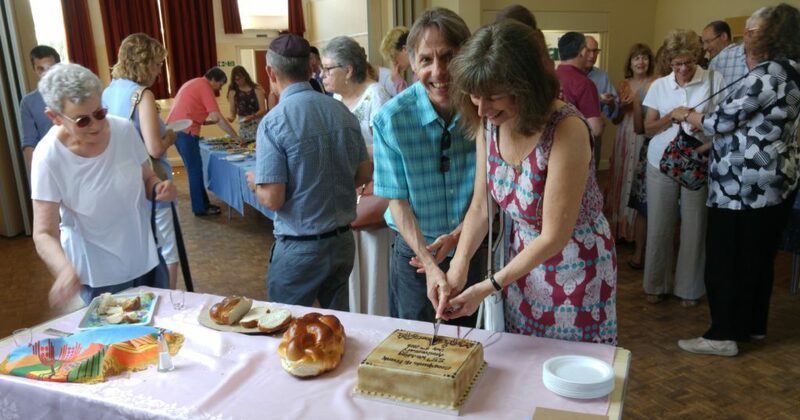 Mazeltov to Stephanie and Frank Wuggenig, who celebrated their 25th Silver Wedding Anniversary by hosting a sumptuous kiddush after the Shabbat morning service last week. 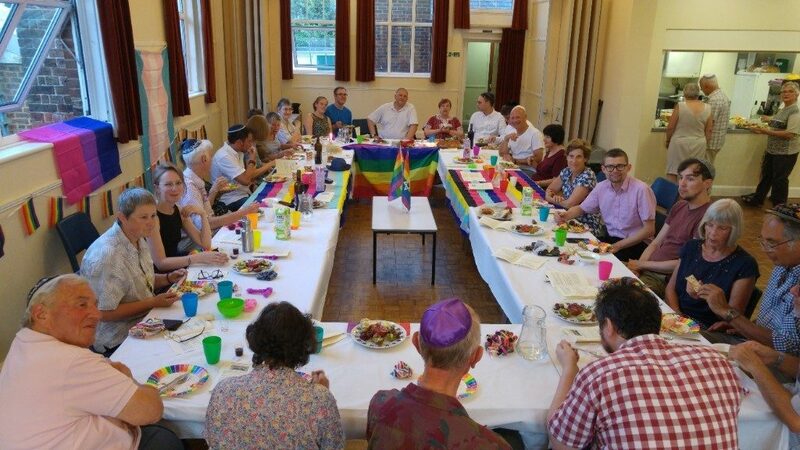 Last Friday, KLS’s monthly chavurah to welcome Shabbat, took the form of a special Pride Seder to coincide with the final weekend of the Pride Festival in London. More than 30 people attended a joyous celebration, with KLS members joined by visitors who had made the difficult trek from north of the river including campaigner Shaan Knan. 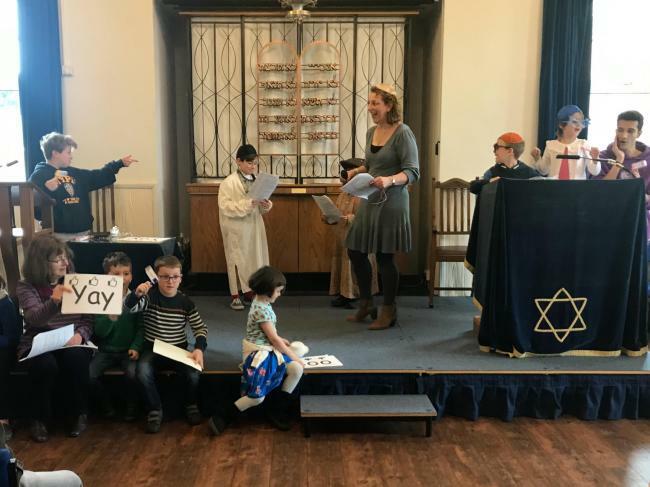 The service, led by Rabbis René Pfertzel and Janet Darley, celebrated the fact we live in an area that is accepting and open, but acknowledged that there is still much work to do to achieve this in other parts of the world. Songs included a version of Hinei Ma Tov specially adapted to celebrate the diversity of the LGBTQI+ community. 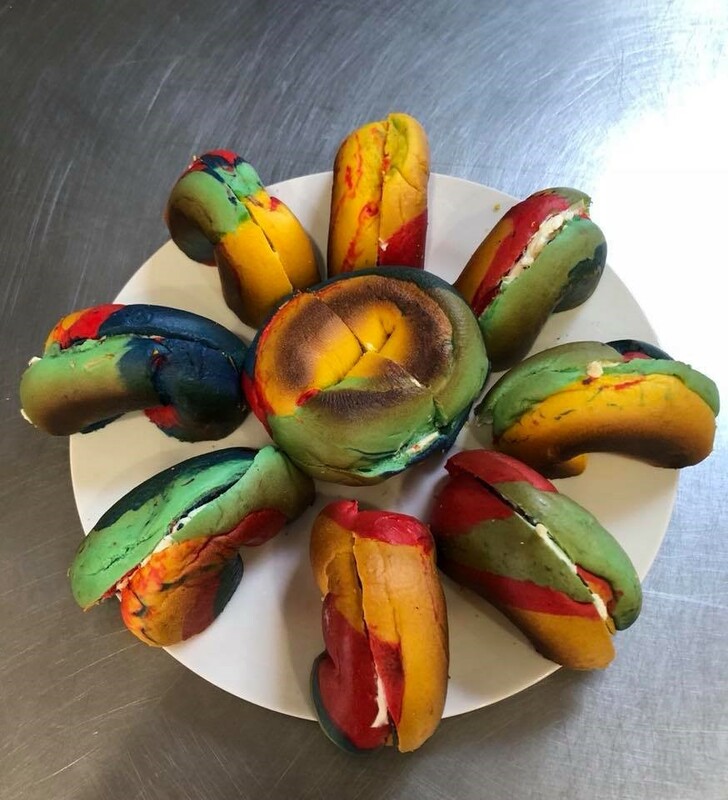 Attendees brought a variety of rainbow-coloured food dishes to share, the colours representing the flag of the LGBTQI+ community. The event was included in a report on Pride weekend in the Jewish News. 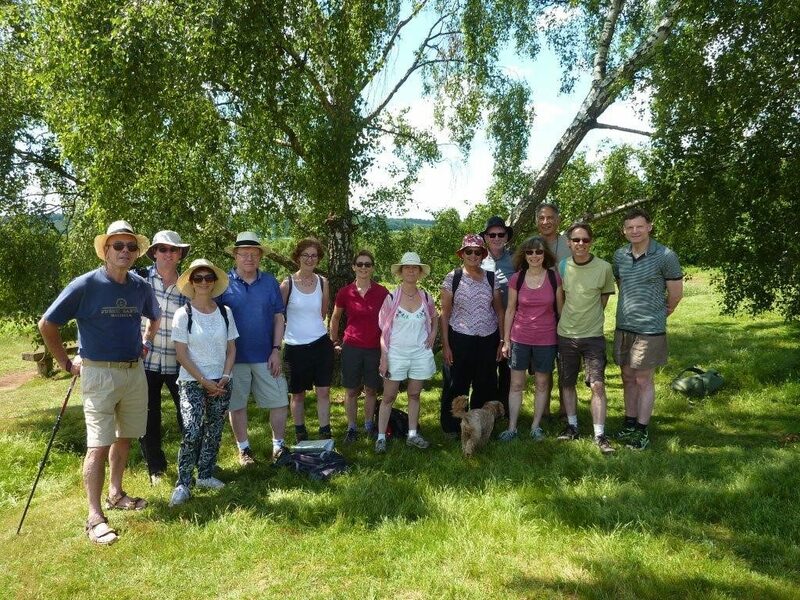 We thoroughly enjoyed our KLS Ramble on Puttenham Common on 3rd June. The weather was perfect!